Ladbrokes PLC, a British betting and gaming company is in charge of Ladbrokes Casino. The website of the casino is designed in a very professional manner. Some cool-looking characters show up on the front page. A single promotion is highlighted at the center of the page. It is the welcome bonus, which is understandable due to the large sum of money that is given out. The "about us" section is only further proof of the professionalism involved in the whole enterprise. In that section, the player can read about the serious relationships that are formed by the casino. The exciting Ladbrokes Casino bonus promotion offers 100% up to £500 on the player's initial deposit. The player is asked to download the casino software and register an account. But the casino has many other opportunities for players that are searching for good deals. The comp point collection is a good way to score some instant cash. The cash can be obtained with the condition that a sufficient number of the points is collected and converted. £10 turnover is rewarded with a single complementary point. That's how the balance changes. The player must simply choose a game to play (any game will be fine) and play with actual funds. The points can be converted into cash inside the casino account section under "summary". Multiple payment methods are accepted, which makes the operations easier. The ones that have been highlighted would include; Visa, Visa Electron, MasterCard, Western Union, Neteller, PayPal, Ukash, Skrill, WebMoney, and a few others. The security on the site is top-notch, since the casino is run by a world leader in the industry. There is a whole list of countries from which the players will not be able to open an account. Here are just a few of the highlighted countries; France, Canada, China, United States, South Korea, South Africa, Singapore, Mexico, Poland, Russia, Japan, Italy, Israel, Greece, Norway, Finland, Philippines, Turkey, Portugal, etc. The UK players are seen here most often. The casino's ties to the UK are evident. The British players will be glad that they have discovered the site. But players from other countries may express a similar attitude. A list of the most popular games features fifty titles. It is worthwhile to see what games have been placed on that list. They would include; 3-reel slots (Ghost Rider, Chinese Kitchen, Vacation Station, Marvel Roulette & Gold Rally), 5-reel slots (Iron Man 3, Great Blue, Wild Gambler, Samba Brazil, Captains Treasure, Sultanas Gold, Hot Gems), blackjack (Multihand 5), roulette (European Roulette, Premium European Roulette), scratch cards (Wolverine), and other games (Jacks or Better, Roulette Pro). The casino is getting mixed reviews. The complaints have also been put forward. However, the casino has addressed many of the complaints. They are still perceived as a venue that can be trusted. An association with a major brand helps to maintain a good image. The venue provides players with assistance by phone as well as e-mail. The UK Gambling Commission and the Gibraltar Gambling Commission are responsible for the licensing of the Ladbrokes Casino venue. Both of these commissions have a stellar reputation, which further establishes the legitimacy of the casino. The Gibraltar Commission has been issuing licenses since 1998, so they have a fairly extensive track record. I found out that the casino means serious business, as opposed to simply being a part of a larger Ladbrokes project. The website is nicely designed. The same can be said about the game offer. 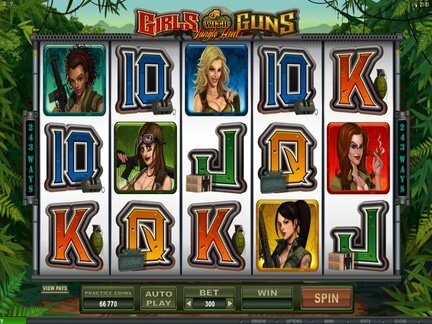 I believe that the huge selection of games will allow a large number of people to enjoy the casino, especially the slots fans. The comp point collection is a sure way to gaining cash in the long term. The rest of the promotions are fairly attractive too. I can certainly provide an endorsement.